How Do Orchid Fertilizers Work? Orchid fertilizers are nutrients that help orchids make their own food from water, carbon dioxide and energy from the sun when natural soil has insufficient amounts of these nutrients available. Plant nutritionists have identified seventeen (17) elements essential to orchid growth, including macro nutrients such as nitrogen, phosphorous and potassium and trace elements like calcium, iron, copper and zinc. 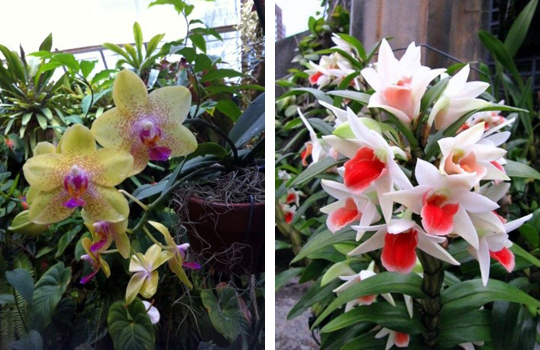 Nitrogen is important for leaf and stem growth and provides the rich green color in the orchid’s leaves. Phosphorous provides for root and flower development. Potassium helps build Orchid tissue and aids in the production of vital chlorophyll. Properly applied, the use of orchid nutrients help growers produce beautiful, abundant flowers where natural soil composition would not allow it. A lot of data has been compiled to help growers select the best natural or synthetic orchid nutrient needed to achieve particular growth results. This research and the ready availability of orchid fertilizers have aided even the most novice orchid grower succeed at growing these beautiful plants. As is the case with most fertilizer use, orchid fertilizer is often over applied. Fertilizers are chemical salts, much like the familiar table salt, so will absorb water from their surroundings. If tender orchid roots grow close to the fertilizer granules or fertilizer residue, water will be drawn from the roots and the cells in the orchid roots will begin to dehydrate or “bum.” Orchids are often thought to be difficult to grow when, in fact, it’s the over-application or untimely application of fertilizers that is the problem. Either results in frustration and extra expense to the grower. Good fertilizer boosters will reduce the amount of orchid fertilizer necessary to obtain optimum growth and beauty. They do this by actually stimulating the orchid’s root structure to more efficiently pull in moisture and nutrients from the soil and from the added fertilizer nutrients. This efficiency allows the grower to apply less fertilizer, therefore reducing the risk of over-application and orchid burn. This translates to more beautiful orchids at less cost. BioWash is ideal for the tender orchid. Made from a blend of processed extracts from natural plants (phyto-chemicals), BioWash contains no harsh chemicals that can burn orchids. The only synthetic ingredient in BioWash is a minute amount of kosher EDTA, which is so safe that chelation doctors use it in cleaning patient arteries. As an additive to the plant care regime, BioWash actually improves the orchid’s ability to take up essential moisture and nutrients through its root and stem system, promoting faster growth and healthy, beautifully colored flowers. As a result the orchid grower can reduce the amount of fertilizer being used while enhancing the plant’s growth process. Less fertilizer translates to less risk to the plant and less cost to the grower. Add that to an improved environment and you have a win-win combination!